KOHLER finishes resist corrosion and tarnishing for durability and reliability. With its bold, angular profile and subtle curves, the GROHE Tallinn 1-Handle 4" Centerset in Chrome commands attention in any bathroom setting. European designed and German engineered, the contemporary-style single-lever mixer incorporates a GROHE SilkMove cartridge for smooth, one-finger control of the water volume and temperature and GROHE EcoJoy technology, which saves water without sacrificing performance. The GROHE Starlight Chrome finish easily resists dirt and scratches, making maintenance effortless and retaining its luster for years to come. Worth two-handle 4 inch centerset bathroom faucet Inspired by vintage metalwork, Worth faucets combine bold facets and intricate detailing for an industrial chic look. With a handcrafted aesthetic, this 4" centerset bathroom faucet brings relaxed sophistication to traditional decor as well as modern designs that embrace classic elements. 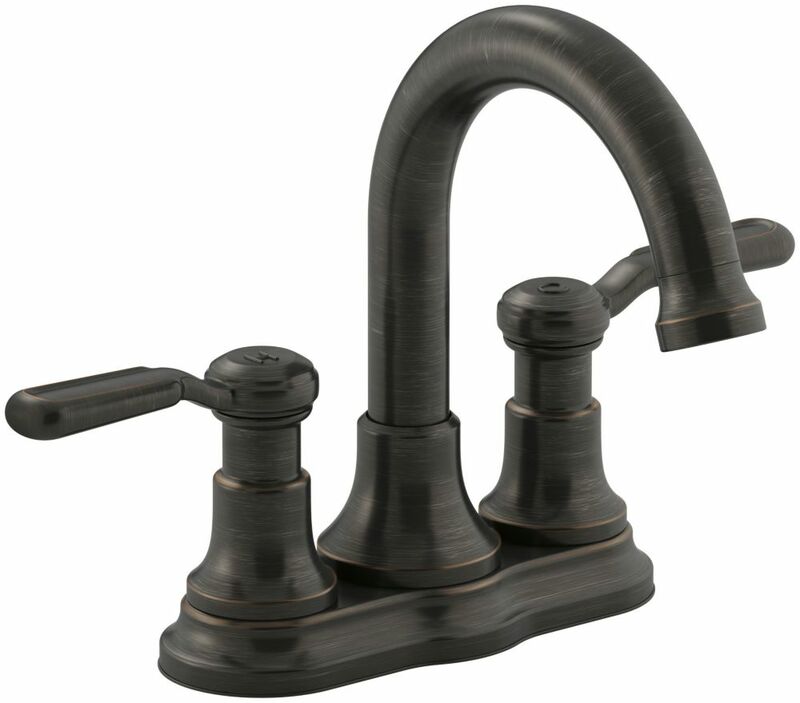 Worth two-handle 4 inch centerset bathroom faucet is rated 4.3 out of 5 by 53. Rated 5 out of 5 by Buyer from Works great, installed easily, looks fantastic. Good buy.... Works great, installed easily, looks fantastic. Good buy. Rated 5 out of 5 by Dorothy from This faucet is a beautiful addition to our bathroom. ... This faucet is a beautiful addition to our bathroom. Especially like the look of the oil rubbed bronze - it goes very well with our neutral colored bathroom. Rated 5 out of 5 by HomeDepotCustomer from Easy install and looks great.... Easy install and looks great. Rated 5 out of 5 by Nina from Easy to install and looks beautiful! ... Easy to install and looks beautiful! Rated 5 out of 5 by Ralph from Good product. Easy to order online. Quick delivery. ... Good product. Easy to order online. Quick delivery. Rated 5 out of 5 by Mike from Love the look and feel of this. ... Love the look and feel of this.